Welcome to the Full-time FBA Resource page, where you’ll find all of our most recommended resources that have helped us turn part-time hours into a full-time income. Disclosure: Some of the links on this page are affiliate links and, at no additional cost to you, we will earn a commission if you decide to make a purchase. Please know that we only recommend products we have either used ourselves (and found to be extremely helpful) or products created by folks we know and trust. Remember, only buy a product if you think it will help you achieve your goals. Since 2012, I’ve been able to make a full-time income by only spending part-time hours selling quality merchandise on Amazon… and you can too! Instead of you spending thousands of dollars for me to coach you into an Amazon business, I’ve created an affordable course to teach you everything you need to know about how to start strong and set up your Amazon business for long-term success. 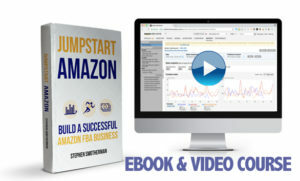 JumpStart Amazon comes with a video course (10+ hours) plus an ebook (200+ pages) that both contain the same content to help you create a highly profitable Amazon FBA business. So many people start selling on Amazon and end up quitting. This doesn’t have to be your story. 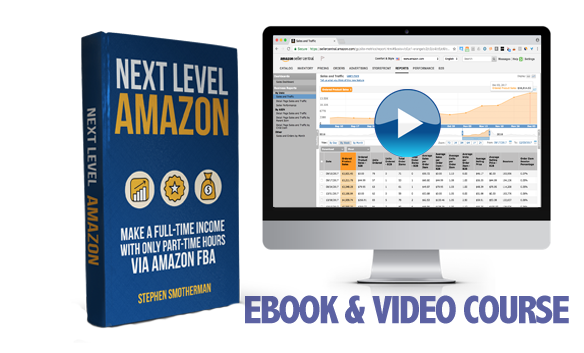 If you want the proven roadmap for how to finally make a full-time income and insure long-term success with your Amazon FBA business, then it’s time to get Next Level Amazon. In this course, I outline everything you need to know in order to work less, but make more take-home pay. It’s a strategy that has helped so many people go from working 60-hour weeks just to make ends meet… to truly only working 20 or so hours each week, while still bringing home a full-time paycheck. What would your Amazon business look like if your average selling price (ASP) was $75? How much larger would your disbursements be if you were selling higher priced items like shoes? If you’re ready to kick up your profits with selling new shoes via Amazon FBA, then this course is for you! 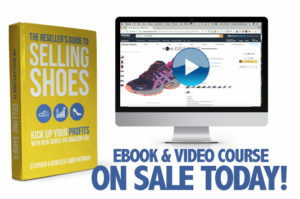 Selling Shoes is a full course featuring 100+ page ebook and over 4.5 hours of video content that will walk you through how to get started with selling profitable shoes on Amazon (including how to get ungated) and quickly become an online shoe selling expert. 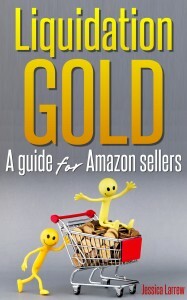 Amazon sales rank is easily one of the most complicated and misunderstood aspects of selling online. Too many Amazon sellers assume if an item on Amazon has a certain “good” sales rank, it will automatically sell quickly. This assumption falls apart when the seller realizes most their inventory is not selling at all, and to make things worse the prices of their inventory items have tanked. 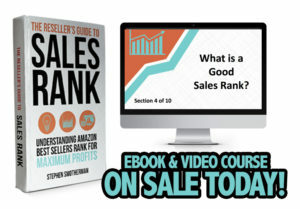 This course is packed with over 30 pages and almost 2 hours of video content filled with teachings and illustrations that will help you understand not only how sales rank works, but also how to best use sales rank info to dramatically improve your inventory sourcing buys. Have you ever wondered what it would be like to buy inventory that almost always sells quickly? Do you ever get frustrated because it seems like by the time your inventory arrives at Amazon, your competition has “tanked” the price and you’re not able to sell your inventory at the price you wanted? If it seems like your Amazon sourcing is more of a gamble than a sure thing, then this course is for you. 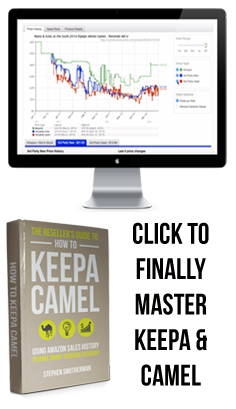 With over 4 hours of video and 130+ pages, this book tells you everything you need to know to make the most out of the free pricing and sales rank data provided by Keepa and CamelCamelCamel. 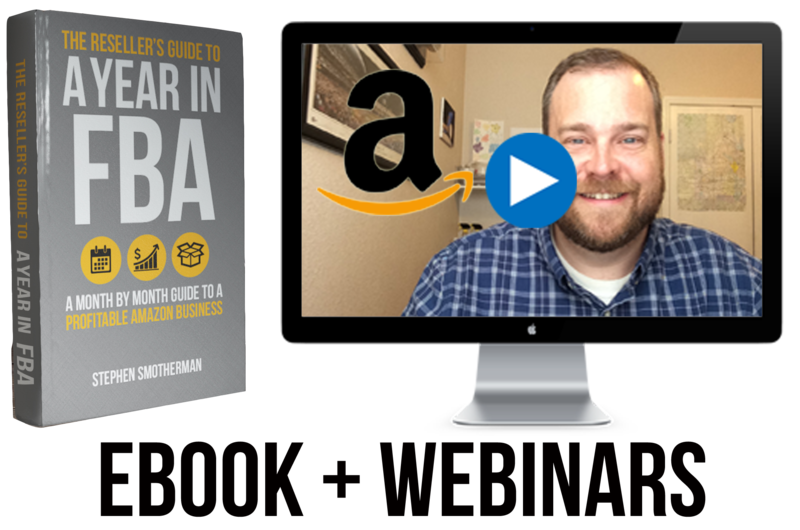 This book is over 220 pages jam-packed with tips, resources, and strategies that will help you have your best Amazon FBA year ever. From January to December, this book will show you exactly what to expect and what you need to prepare for when it comes to maximizing your profits for selling via Amazon FBA. Also included are live training webinars where I’ll share with you all the latest and greatest tips to make the most profits right now! 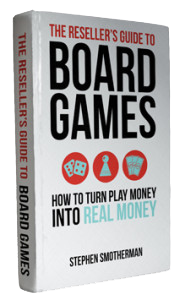 Selling board games is a great niche to add to your online selling business. Whether you sell on eBay or Amazon, board games can be very profitable, but only if you know what you’re doing. I find so many board games to sell that I don’t mind sharing with you all of my secrets. 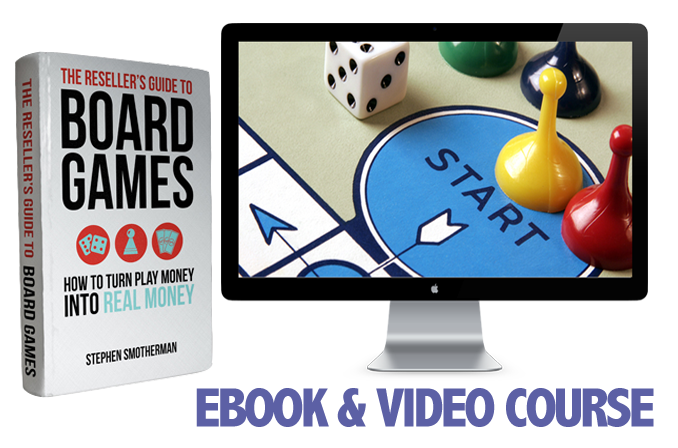 This course comes with a PDF ebook as well as video training modules that show you exactly how to make hundreds of dollars per week selling board games online. 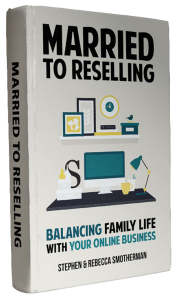 In this book, my wife Rebecca and I will walk with you through ways we can all find success in balancing our time with family while working from home. We’ll tackle both the business and personal sides of life as a reseller, and we’ll help you explore a system that works best for you and your family. 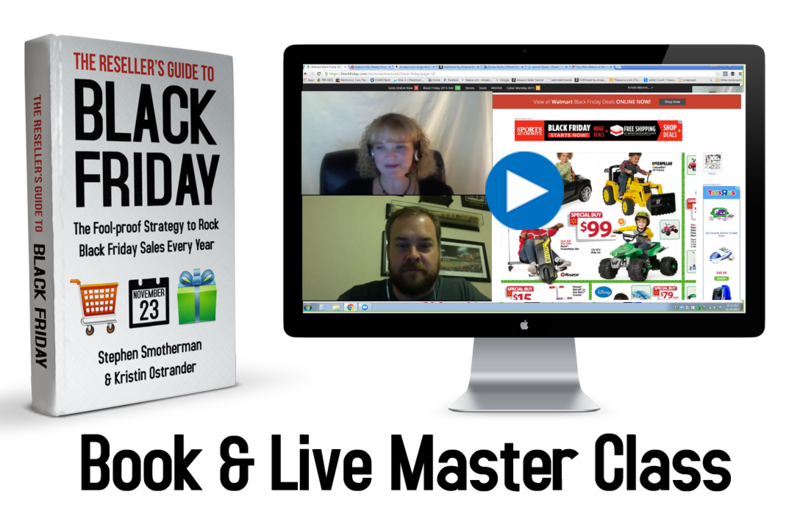 This book (plus live online master class) is packed with tips, resources, and strategies to help you have your most profitable Black Friday ever. You’ll learn exactly what to expect, as well as what you need to do to be properly prepared for maximizing your time and profits for shopping Black Friday sales. InventoryLab (with Scoutify) – This is my #1 most recommended product that I believe all online resellers need to use in their Amazon business. From using Scoutify to make faster and better sourcing decisions, to using InventoryLab for inventory management, listing your items on Amazon, running helpful reports, and so much more, InventoryLab (which comes bundled with the Scoutify sourcing app) is the absolute best deal on the market for Amazon sellers to finally gain control of their Amazon business activities and take the steps needed to get to the next level. 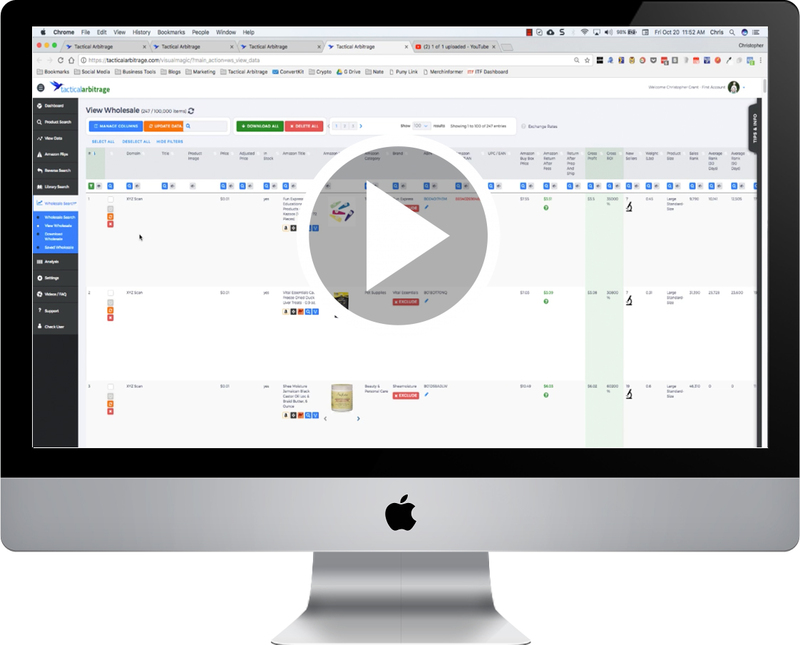 For multiple posts about InventoryLab and Scoutify on the Full-Time FBA blog, click here. 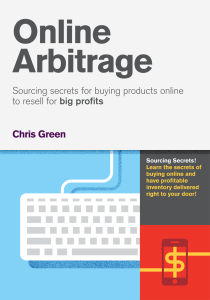 Arbitrage – In my opinion, one of the best books for understanding the basics of how buying and reselling online works. 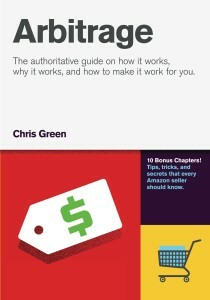 After you read it, this will be the book you tell your friends to read who just “don’t understand how selling stuff online works.” The book is a little outdated, but it clearly explains the basics of online reselling on Amazon. Ebates – A free tool to help you get money back for your online purchases. If you’re going to be shopping online for inventory anyway, you might as well get some of your hard-earned cash back. Ebates is the number one most trusted cash back site. All you need to do is sign up, and then when you are ready to shop online, click through the Ebates button and you’ll start earning cash back. In fact, the first time you use Ebates, they’ll put $10 cash back in your account to get you started. The more you buy, the more you can get back. Seriously, the sky is the limit: we’ve had cash back checks from Ebates over $1000! It doesn’t cost you anything to use, but if you don’t use it, you’re throwing money away. Honey – The Honey extension works by automating the process of applying promotional codes and coupons to your online purchases. You could Google to find those codes and manually input them to see if they’ll apply to your purchase…or you could click the Honey extension before you check out and let Honey do the work for you. I’ve saved tons of money and tons of time by letting Honey search and try codes for me. It’s absolutely free and super easy! Tactical Arbitrage – A paid online software that allows you to scan an entire category of a store’s website to find matches in the Amazon catalog, either by UPC or by product title. Tactical Arbitrage allows you to set up bulk scans of multiple pages and multiple websites to scan at one time, so that you can start a scan and come back to it later after it has finished. The results of a Tactical Arbitrage scan show you links to product pages on the online store’s site and Amazon, links to CamelCamelCamel and Keepa, and columns of info on pricing, sales rank, profit, and ROI, among other things. Tactical Arbitrage has other features and methods for doing reverse scans, Amazon flips, and more. The time you can save using Tactical Arbitrage adds up to hours per day. If you want to check out an extended free trial of Tactical Arbitrage, be sure to use the code FULLTIME10 when signing up at www.fulltimefba.com/TA. For my review of Tactical Arbitrage, click here. OAXray – A paid Google Chrome extension that allows you to go to an online store’s website and scan a page of items to find matches in the Amazon catalog. OAXray has a long list of websites compatible with their software, some with UPC searches and some with title searches. From your Chrome browser, you can navigate to a page within an online store, click the OAXray extension, and scan the page to turn it into a spreadsheet of items with links to the Amazon product page, links to CamelCamelCamel and Keepa data, and columns of info on pricing, sales rank, profit, and ROI, among other things. OAXray also shows you if the item is selling on other websites, where you might get a better buying price. If you want to check out an extended free trial of OAXray, go through the link www.fulltimefba.com/oaxray. Using the OAXray extension saves literally hours each day of matching items from online stores to the Amazon catalog. For my review of OAXray, click here. How Many? App – A paid smartphone app and Google Chrome extension that tells you how many of an item each seller on Amazon currently has in stock. This is very important to know when deciding on buying an item to resell. If your competitor only has a few in stock you might want to compete with them, but if they have 100 in stock you might want to move on to another item as you may never get the buy box. When you open up an Amazon sales page and click on the How Many? icon, you’ll see the inventory levels of every seller selling that item (both FBA and MF). The smart phone app is also easy to use; you scan the barcode of an item and the How Many? app will show you on your phone how many each seller has in stock of that item. To learn about many more features of How Many?, simply click here. For a free (but harder) way to find out the number of items other sellers have in stock, then click here for my blog post. Online Arbitrage – This book is more than just a book. It’s more like a college textbook that comes with color pictures and a full-length video companion course. This is by far the best resource to help you learn all the ins and outs of online arbitrage. You might be discouraged by the cost, but let me tell you that this resource is worth every penny. We were able to start really ramping up our Amazon FBA business with this book while spending less time sourcing all day on retail arbitrage trips. Tactical Arbitrage Academy – Tactical Arbitrage Academy is a thorough video-driven training course designed to cut the learning curve of Tactical Arbitrage (TA) dramatically. With Tactical Arbitrage Academy, I found myself learning things about TA that I never picked up on my own…even after using it daily for a year! Tactical Arbitrage Academy has over 8 hours of video content showing walk-throughs of how to use TA in screen-capture videos. You will see the instructor’s computer screen demonstrating step-by-step how to set up scans of products, how to filter the results, and how to begin analyzing potential buys. I found myself cutting out even more time and finding even more leads on profitable deals. 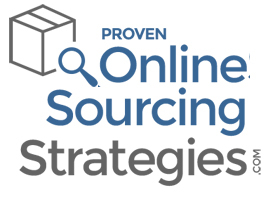 Proven Online Sourcing Strategies – A video-driven course containing over 7 hours of training on practical and profitable strategies for online sourcing. The course is taught by 4 different teachers, so you can get teachings and tips from 4 different points of view. This course is great for those who prefer video over reading a book for their learning style. Feedback Genius – Most Amazon sellers know that having a great seller feedback score is part of Amazon’s algorithm for deciding which seller gets the most time in the buy box. The more buy box time, the more sales, which makes keeping a perfect feedback score so important! Feedback Genius is a service that not only helps protect your feedback score from negative feedback, but also helps get you more positive feedback scores. The process is done automatically for you and is one of the most essential services I use. 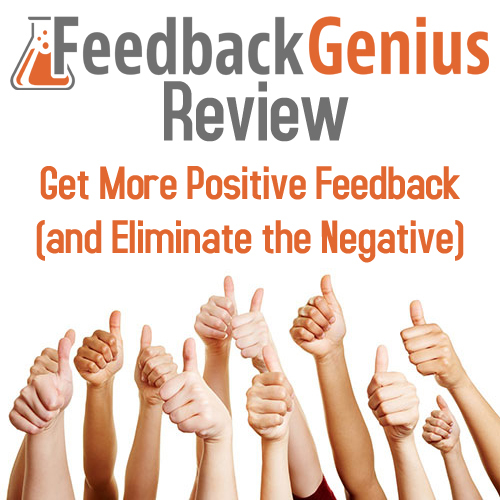 To learn more about how Feedback Genius works, click here to read my review. BQool – For years I only repriced my inventory manually. But then Amazon changed long-term storage fees into a rolling monthly reality. I realized I needed to be proactive when it comes to making sure ALL of my inventory was competitively priced. BQool (pronounced: “Be Cool”) was the answer I was looking for. I was able to sync BQool with my InventoryLab account and import the buy cost for all of my inventory, and then all I had to do was pick my high and low sales prices — and Bqool did the rest! They have multiple brilliant repricing strategies to help you win the buy box, get the next sale, or implement other strategies that best fit your business model. You can also use BQool to design your own repricing strategy. The first month I used BQool, my sales literally doubled from the month before. I can’t imagine running an Amazon business now without BQool. BoloMart – Imagine a Facebook group filled with Amazon sellers who are sharing their best leads for profitable inventory. In BoloMart, members and admins share BOLOs (items to “Be On the Look Out” to buy and resell) that all members can then go out and purchase to resell on Amazon. I’ve been a member of this group since 2016, and each month just one lead ends up paying for the monthly subscription cost — the rest of the leads each month end up being icing on the cake. During Q4, this group is invaluable with hundreds of highly profitable BOLOs shared. 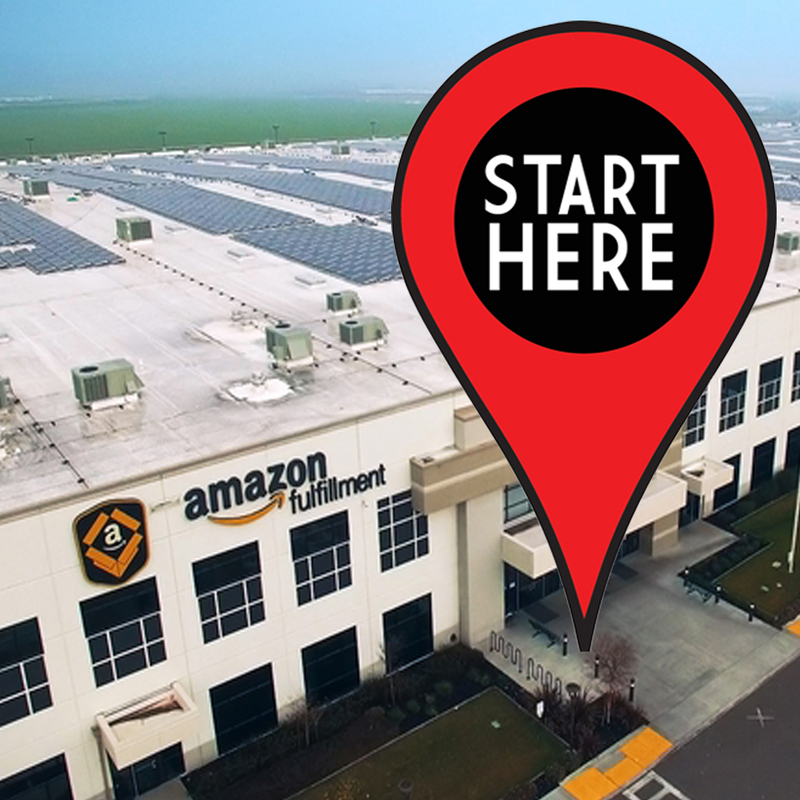 Outsourcing Sourcing – If you’re the only person sourcing inventory for your Amazon business, then you’re missing out on some huge growth opportunities. Imagine building a team of people who go out and source inventory for you. 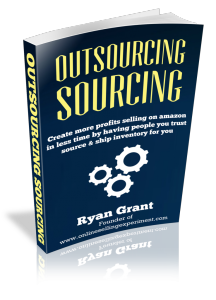 In this book, Ryan Grant walks you through the exact process of how to find, hire, and train people to source profitable inventory for you. He offers multiple methods of outsourcing to help you grow your Amazon business. Solutions4Ecommerce – If you want to scale your business and hire a service to regularly handle your Amazon back end activities, Solutions4Ecommerce is the best service out there. They help with stranded inventory, unfulfillable inventory, feedback repair and management, lost inventory, lost/damaged/destroyed returns, reimbursement case management, reconciling incorrect shipping issues, inventory age reports, and so many other inventory management tasks. We wholeheartedly recommend the account management services of Solutions4Ecommerce. In fact, if you use the coupon code FULLTIMEFBA you can save 15% off of their monthly services. Freeeup – Many people like the idea of hiring a virtual assistant (VA) but don’t like the idea of training that VA to do the job right. Freeeup offers you pre-trained virtual assistants (in the US or abroad) to help you handle multiple tasks related to selling on Amazon or eBay. Freeeup gives you the opportunity to easily outsource multiple areas of your Amazon business that will, in turn, free up your time to only work on the most important aspects of your Amazon business. TaxJar – TaxJar is an amazing tool that painlessly takes care of everything when it comes to sales tax (collecting, filing, paying, etc). No need to stress over all the different sale tax rules and filing dates of all 50 states when you can let TaxJar take care of it for you. Sign up today and get a 30 day free trial. 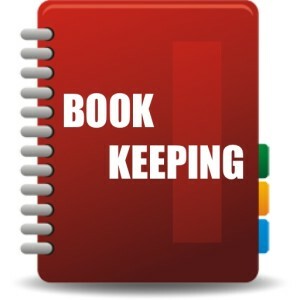 Basic eSales Bookkeeping Spreadsheet – This is perfect for those who are just starting out and want to better understand their numbers. This spreadsheet will help you understand each of your inventory items’ ROI and profit margins and will help you find out exactly how much you’re really making with your online business. MileIQ – Tracking your business mileage may seem like an inconsequential part of your Amazon business, but in reality those miles can really add up over the course of a year. Your CPA or tax preparer is going to want to see those miles at the end of the year so they can be used as a deduction so you’ll pay less in taxes. The MileIQ app works by running in the background as you drive to different destinations throughout the course of your everyday life. The app tracks each trip you make in a vehicle and all you have to do is tell the app whether it was a business or personal trip – all with one swipe classification. After a while, the app will start to learn which destinations you usually classify as business, and it will automatically classify those trips for you! 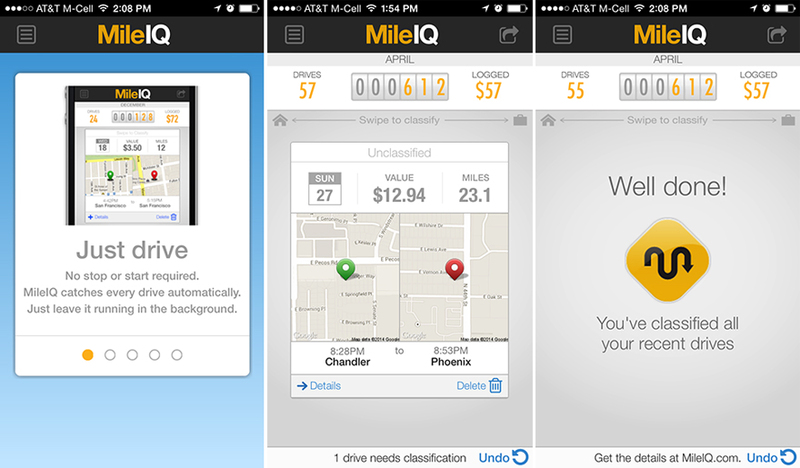 For my full review on MileIQ, click here. The Book of Bundles: A Guide to Creating and Selling Bundles on Amazon – With bundles, you can almost always eliminate the competition and bring a unique value to the Amazon catalog. Imagine always having the buy box and getting all the sales! This book helps you come up with creative and profitable bundle ideas to sell for big profits on Amazon. 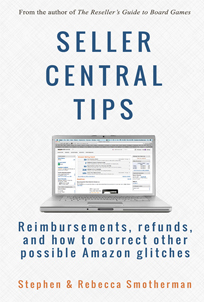 The book has the most up-to-date information on Amazon’s current rules pertaining to using the right UPC codes and how to apply for a GTIN exemption if necessary. Have no idea what that means? No problem — the book explains it all in easy-to-understand English. The Wholesale Formula – Hands down, the absolute best course on how to successfully add wholesale to your Amazon FBA business. I have personally gone through 3 different wholesale courses to teach me how to do wholesale sourcing, and The Wholesale Formula (TWF) is the one that actually led me to the results I was looking for. With The Wholesale Formula, my eyes were finally opened to things about wholesale I’ve never thought about before. I took action based on the course and began to find multiple profitable wholesale accounts. TWF is actually three courses in one: a Selling on Amazon course, a Wholesale Formula course, and a How to Outsource Wholesale course. The only thing is that TWF is open for purchase only a few weeks out of the year. To get notified when The Wholesale Formula shares it’s free mini-course and when they open up the cart for The Wholesale Formula, then click here to be put on the waiting list. 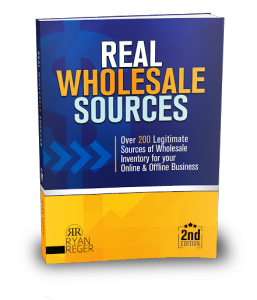 Real Wholesale Sources – Over 200 legitimate sources of wholesale inventory for your Amazon and/or eBay business. With this book you’ll also get instruction on how to quickly identify profitable inventory and even instruction on how to possibly avoid ever having to manage the inventory yourself (have others do the prep and the selling for you!). This is a good starting point for those who are new to wholesale and need help finding suppliers. Liquidation Gold – Liquidation stores are possible goldmines of low-priced, fast-turning inventory, but you need to be wise when shopping at liquidation stores. This book walks you through how to find close-out stores near you and all of the best practices for making wise decisions when it comes to sourcing liquidation stores. To read about our liquidation store experiment, click here. Amazon Listings Demystified – This is the absolute best video course on how to create Amazon product pages. Did you know there is a proven strategy that helps your product show up near the top of Amazon search results for your main keywords? This course will show you exactly how. Learn how to write new listings that please both the Amazon search algorithm AND potential customers. You can also use the wisdom in this course to help update many current listings on Amazon too. Use the coupon code FULLTIME and get $50 off the cost of the course. 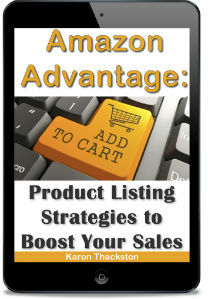 Amazon Advantage: Product Listing Strategies to Boost Your Sales – A great book on how to write (or rewrite) Amazon product listings that actually increase sales. This is great for when you are creating your own product listing or want to improve on a listing where you have multiples in stock that you would like to sell more of. Using the right keywords is important to creating a product listing, but how in the world do you know which keywords to use for your listing? Which words do you use first, and which ones should you avoid altogether? This ebook shows you how to understand the world of keywords and how to use them to your advantage on Amazon listings.